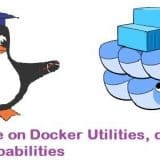 Q:1 What is the default port & configuration file of SSH Server ? Ans: 22 is default port for ssh and ‘/etc/ssh/sshd_config’ is the configuration file. 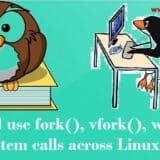 Q:2 How to change the default ssh port in Linux ? Ans: To change the port, first edit the file ‘ /etc/ssh/sshd_config ‘, change the value of parameter ‘ port 22 ‘, now restart the ssh service. Q:3 What is the configuration file of ssh client ? Ans: ‘ /etc/ssh/ssh_config ‘ is configuration file for ssh client. Q:4 What is SSH port forwarding ? Ans: SSH Port Forwarding, sometimes called SSH Tunneling, which allows you to establish a secure SSH session and then tunnel arbitrary TCP connections through it. Tunnels can be created at any time, with almost no effort and no programming. 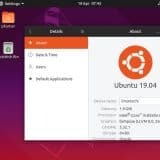 Q:5 How to disable the root login in linux server ? Ans: Open the file ‘ /etc/ssh/sshd_config ‘ and chnage the paramenter ‘PermitRootLogin yes’ to ‘PermitRootLogin no’ & restart the ssh service. 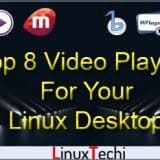 Q:6 How to allow only specific users to ssh your linux server ? Ans: Open the file ‘/etc/ssh/sshd_config’ and add the parameter ‘AllowUsers user1 user2’ & then restart the ssh server. 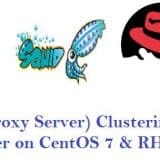 Q:7 How to enable debugging in ssh command ? Ans: To enable debugging in ssh command use ‘-v’ option like ‘ssh [email protected] -v’. To increase the debugging level just increase the number of v’s. Q:8 What is the difference between ssh & Telnet ? Ans: In ssh communication between client & server is encrypted but in telnet communication between the client & server is in plain text . We can also say SSH uses a public key for authentication while Telnet does not use any authentication.SSH adds a bit more overhead to the bandwidth compared to Telnet.Default port of ssh is 22 and for telnet 23. Q:9 What is use of sshpass command in linux ? Ans: sshpass is a command which allows us to automatically supply password to the command prompt so that automated scripts can be run as desired by users. sshpass supplies password to ssh prompt using a dedicated tty , fooling ssh to believe that a interactive user is supplying password. Q:10 What is the use of scp command ? Ans: SCP stands for Secure Copy ,it copies files between hosts over a network. It uses ssh for data transfer & uses the same authentication and provides the same security as ssh. Unlike rcp, scp will ask for passwords or passphrases if they are needed for authentication. Q:11 What is the use of blowfish options in scp command ? Ans: Using blowfish options in scp command , we can increase the speed, by default scp uses the Triple-DES cipher to encrypt the data being copied. Q:12 How to limit the bandwidth used by scp command ? 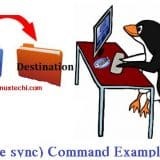 Ans: We can limit the bandwidth used by the scp command using the -l option as shown in the syntax.’#scp -l bandwidth_limit filename [email protected]:/folder-name’ , where bandwidth_limit is numeric to be specified in kilobits per second. 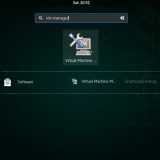 Q:13 How to enable passwordless ssh authentication in Linux ? 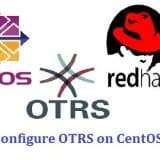 Ans: To Implement passwordless or Keys based authentication we have to generate Public and Private keys , Copy the Pubic keys to remote Linux servers either manually or by ssh-copy-id command.ssh-copy-id command will automatically copy the contents of id_rsa.pub file to ‘~/.ssh/authorized_keys’ file of remote linux server. Q:14 How to check SSH server’s Version ? Ans: Using the command ‘ ssh -V ‘ we can find the ssh server’s version. Q:15 How to Copy the file “server.txt” from the local machine to a remote host using port 2751 in /opt folder.